Here is my new MOC. After doing for 5 years with the winter season I wanted something summer! On the first day of Spring, however, this moc came to my mind. I imagined drinking a good coffee sitting at the coffee table at a seaside bar. So I decided to design this moc very different from my usual themes but just as fun to build. 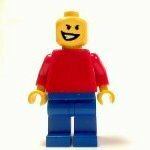 The moc is built on four 32x32 bases. As an inspiration I chose the Riviera Ligure where I occasionally make a turn, but all that was invented without relying on real scenes. The four colorful buildings you see in the background are (starting from the left): a bar, a souvenir shop, a grocery store, a florist. At first I wanted to do only the part of the facade and then I decided to make simple interior embellishments (as always) from the back. The beach is still not crowded because I imagined a pre-summer period in which there are still few people around. The entire moc was built in 3 months (in time scraps) employing about 5,500 pieces. Hope you like it. Will be presented live in a few days in Italy - Lecco 2017. Hello everyone! Very welcome comments! This is a great build! Very charming. Beautiful! Such a lovely scene. My favourite building is the one on the left. I like the real rocks jutting out from under the wall, and the gently rippling water. It's very inspirative ! I will have to build something similar for (and with) my children now ! That is incredible work! I love the water features and the palm trees. Keep up the awesome work! This looks great!! A perfect combination of buildings and a beautifully landscaped beach... Nice work!! Love it! Very cool! Thank you for sharing! Wonderful diorama! 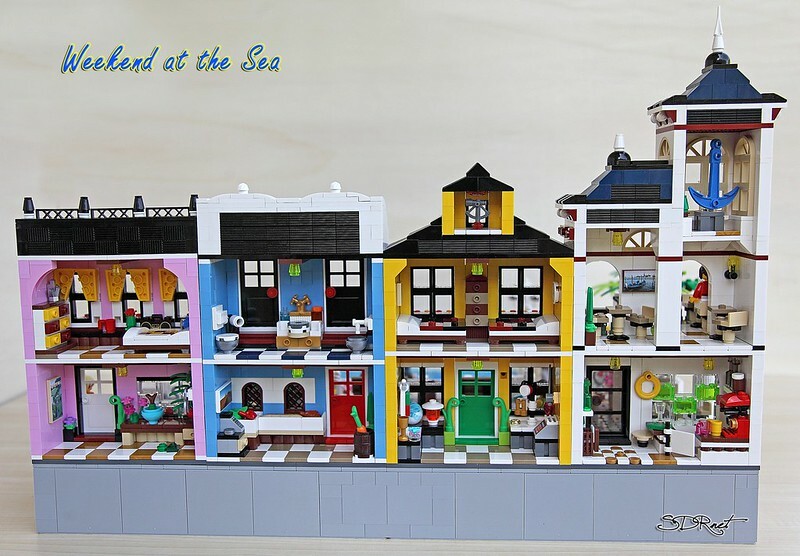 The colors are perfect and maintain a great balance between a classic LEGO and more modern and realistic look. What a great scene you created. The houses go very well together, and there's a lot happening in the pictures. I especially love the white house on the left, and the open backs reveal a lot of lovely details. I really like this, lots of use of colour, and each building looks different enough from the rest. 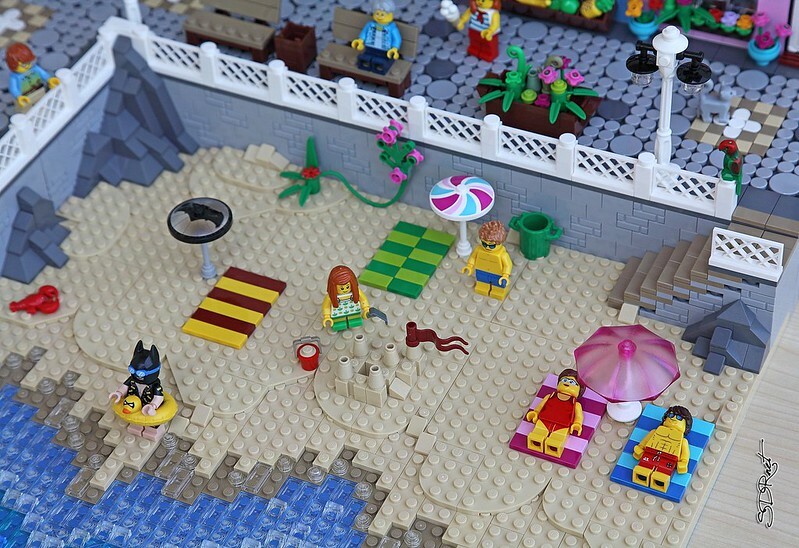 Looks like it was a lot of fun to build! Nice work Sandro! The far left building is my favorite. 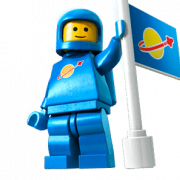 You have lots of nice colors, and the minifigures are quite realistically posed. My only critique is the water, which is not extremely realistic, but I know it is difficult to build water. Overall very good! This is breathing summer all over the place! 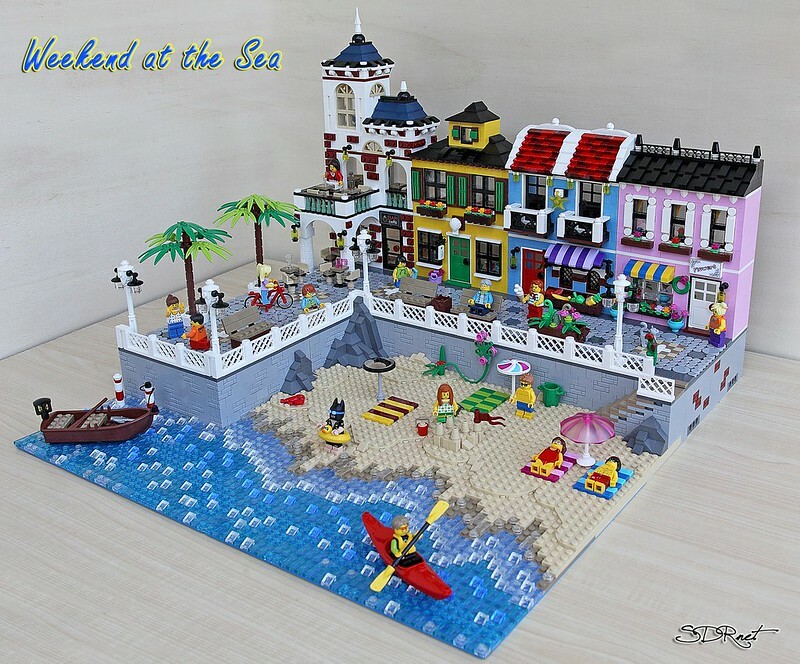 Excellent charming MOC - beach is nice and the individual houses are perfect. This is a lovely scene. There's just the right amount of details, not too cluttered so everything stands out nicely. That's lovely! It's so colourful and joyful. Feels like summer and makes me happy just looking at it. I like that the houses are open on the back and there are very detailed and different interiors in all buildings. 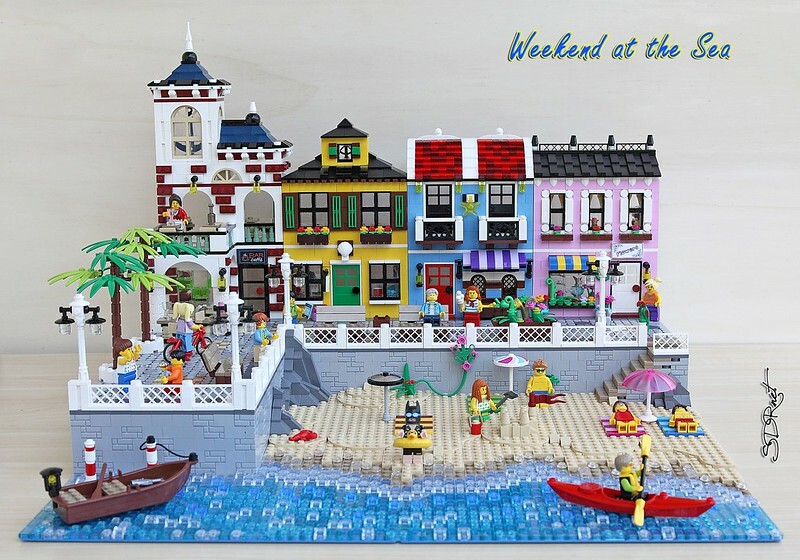 Really cool MOC with full of life and interesting ideas and details! My favourites are the colourful houses!